Hi everyone. Today is the final day of my blog tour. I am excited to have five dresses to share today! I have three bloggers originally planned to share today as well as Rachel from Stitched Together and also Mie from sewing like mad. Mie is 'officially' not on my tour, but since she blogged about her dress this week, I thought I would share her dress too!! Throughout the tour you can receive 15% off my latest pattern with code: PRUDENCE15 (apply at checkout). You can buy Dear Prudence here. Firstly I have the lovely Kristine from Townmouse. 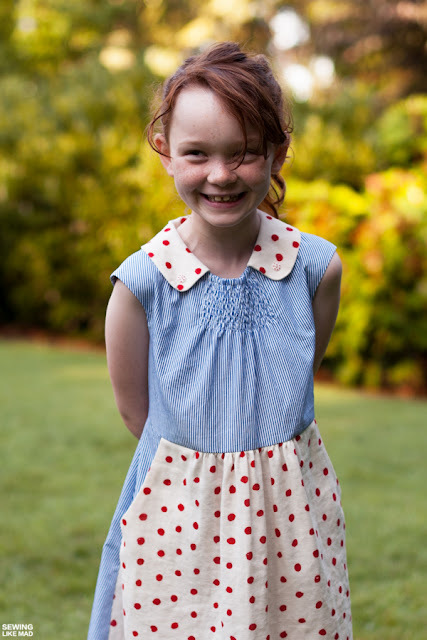 Kristine lives in Melbourne and has run a successful children's boutique brand - Townmouse from her home studio. I have been told that one of Kristine's garments was sold to Princess Mary for her daughter Princess Isabella - Kristine will have to confirm that one!! Kristine has a fresh new business - selling PDF digital patterns of the designs she sold under her clothing brand. You can see Townmouse patterns here! Kristine made a beautiful liberty Dear Prudence for her daughter. I can't wait to see more! Click here to see. Maarika from Liivi and Liivi blogs from Germany. I found her through one of Compagnie M's blog tours and loved her style. When she applied to test my pattern, I was excited to have her on board. She made a gorgeous yellow and brown floral Dear Prudence during testing but has made up another dress for the tour. Maarika blogs in German, but you can use the translate icon to translate, or just enjoy her pretty pictures! I am really excited to see and also to find a new sewing blog to follow! Evelyne from Evelyne's creatieve frutseltjes is a Belgian blogger. She helped me in testing and sewed up one of the larger sizes of my Dear Prudence pattern. It is so great seeing all the sizes of your pattern coming together. 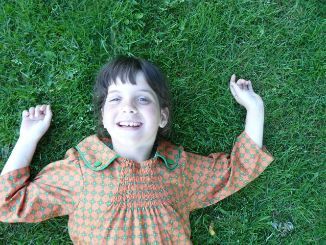 Evelyne made her dress from some vintage fabric - I love it. You can see more here. Thank you Evelyne! Rachel from Stitched Together is an amazing sewer, Mum, photographer and a beautiful writer. I usually come away with a little pearl of wisdom after reading one of Rachel's posts!! And her sewing and photography are always amazing. 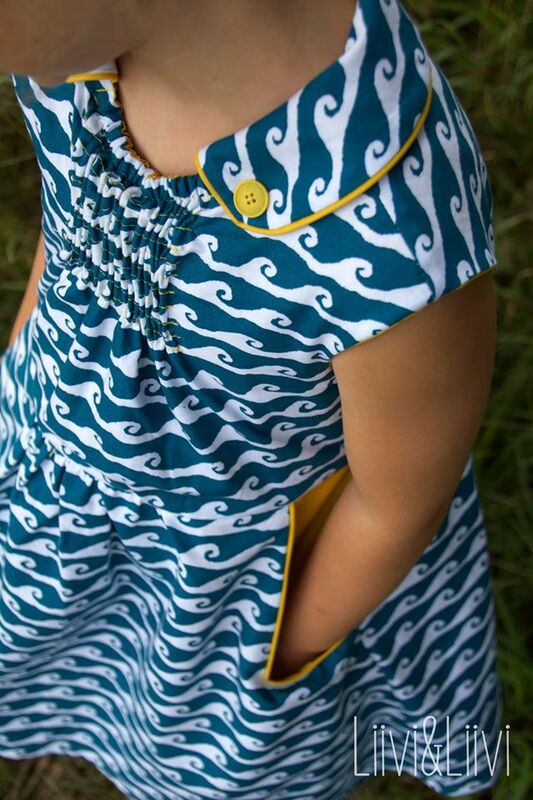 She sewed up my pattern with some gorgeous Alison Glass batik for her daughter Tia. Tia makes everything look beautiful!! 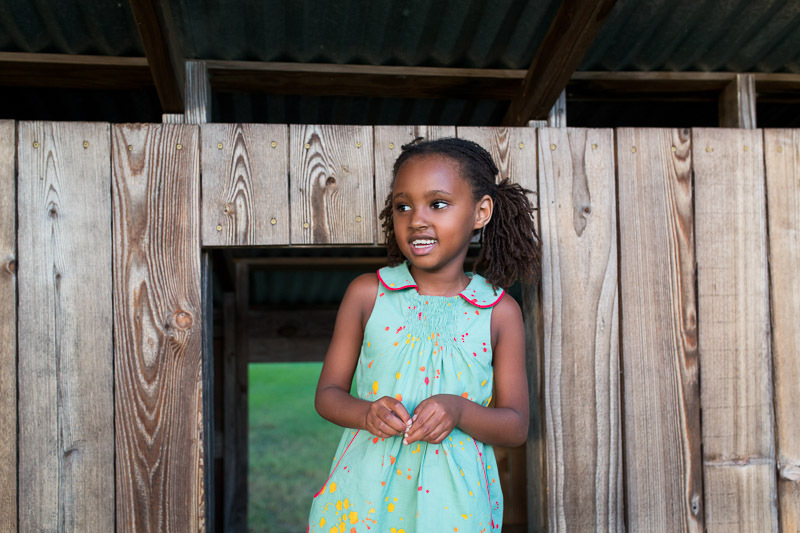 See Tia in her new dress over at Stitched Together! Mie from Sewing Like Mad is a real pro - sewer. Mie's blog is full of gorgeous sewing for her two gorgeous daughters and sometimes for herself. Mie is an ex seamstress for a boutique Danish brand and she is a meticulous sewer. If you can get things past Mie, you are doing alright. Thank you for picking up my error Mie (see top of blog post) - I will fix ASAP and then I think my pattern passes the Mie test! Wilma looks gorgeous in her fourth of July inspired dress. Thank you Kristine, Maarika, Evelyne, Rachel and Mie and to everyone who participated in my pattern tour. You all did a fabulous job and I just loved seeing all your dresses!!! 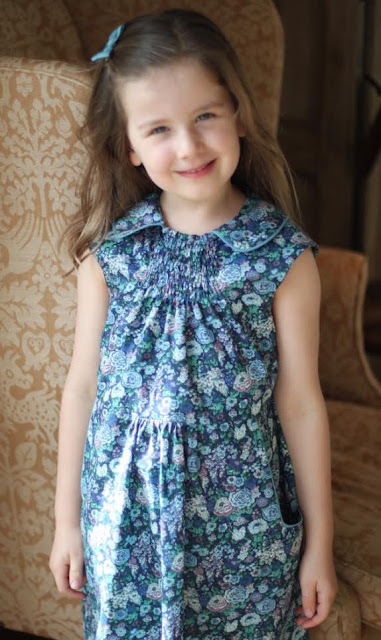 I have another Dear Prudence dress on my sewing table currently which I hope to share next week!!! Go grab your copy here! !